Do not let the title of this recipe fool you. This dish is really a soup that brings out the best flavors of a homemade stock. You can serve it as a light lunch or it can start off your dinner menu as a first course. Make broth and filling while dough stands, coming to room temperature.Cut off asparagus tips, then halve each tip lengthwise and reserve. Bring stock, cheese rind and bay leaf to a simmer in a medium saucepan, then add asparagus stems and cook, uncovered, until stems are just tender, 5 to 6 minutes. Transfer stems to paper towels and cool slightly. Reserve the broth and set aside. To make the filling: Purée asparagus stems in a food processor with grated Parmesan, Mascarpone, bread crumbs, parsley, pine nuts, lemon zest, and 1/2 teaspoon each of salt and pepper. Place the filling in a bowl and cover with plastic wrap and place in the refrigerator until ready to use. 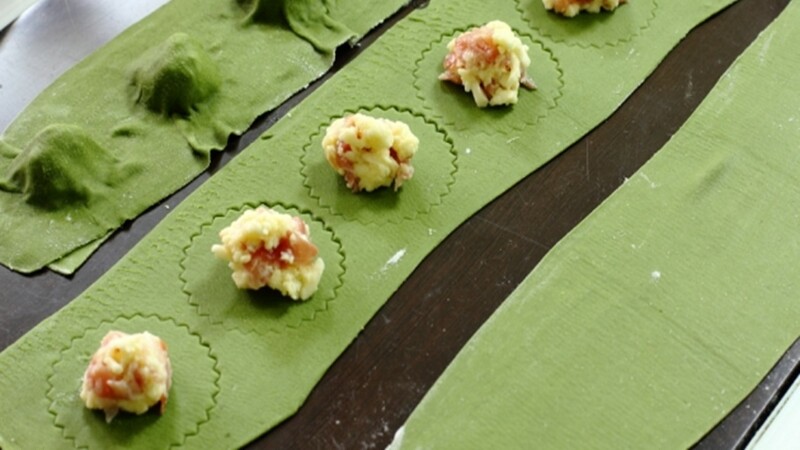 To make the ravioli:Cut dough into 4 equal pieces. Cover 3 pieces with plastic wrap, then pat out remaining piece into a flat rectangle and generously dust with flour. Turn dial to next (narrower) setting and feed dough through rollers without folding, a short side first. 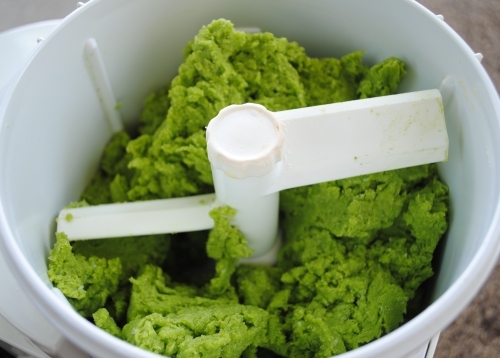 Continue to feed dough through without folding, making space between rollers narrower each time, until the second- or third-narrowest setting is used. 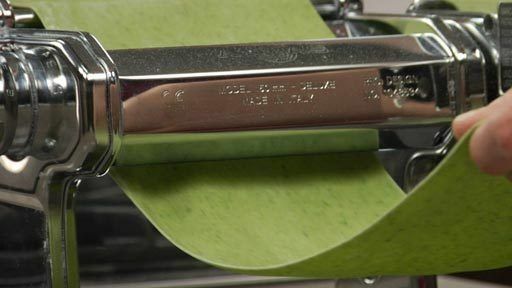 Do not roll too thin or pasta will tear when filled. Put the pasta sheet on a lightly floured kitchen towel (not terry cloth) with a long side nearest you. Drop 6 rounded teaspoon-size mounds of filling 10 inches apart in a row down center of right half of sheet. Brush pasta around mounds of filling lightly with water, then lift left half of sheet and drape over mounds. Press down firmly but gently around each mound, forcing out air. 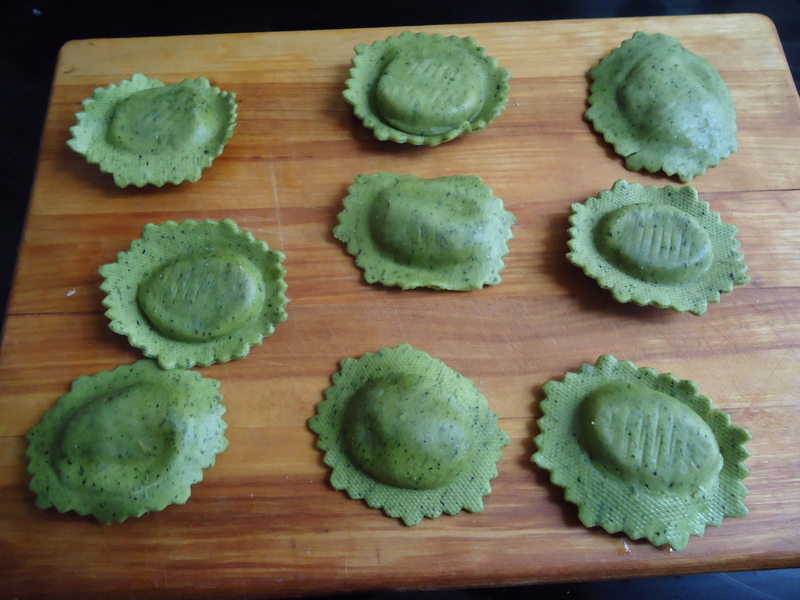 (Air pockets increase the chance that ravioli will break during cooking.) Using a pastry wheel or a sharp knife, or a cookie cutter, cut the pasta between mounds, roughly 2-inch squares. Line a large shallow baking pan with a lightly floured kitchen towel (not terry cloth), then arrange ravioli in 1 layer in it. Make more ravioli with remaining pieces of dough and remaining filling, transferring to lined pan. 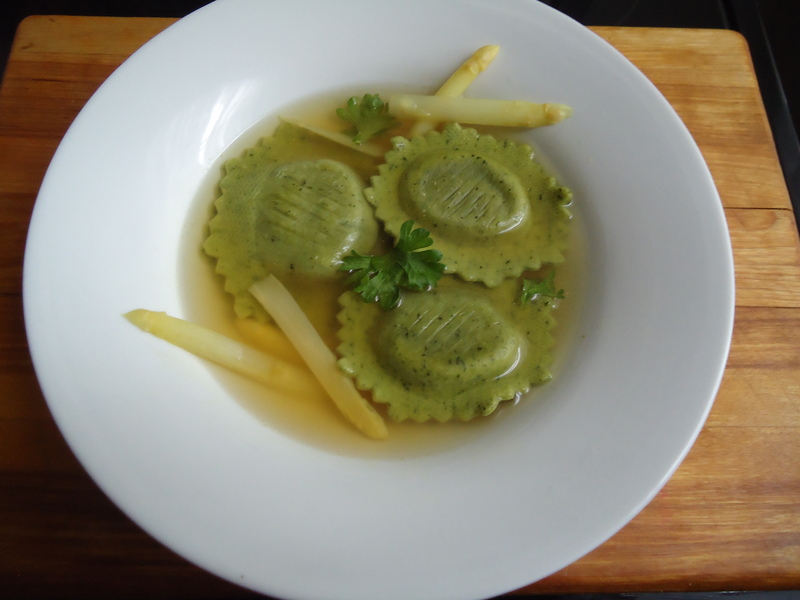 To cook the ravioli and asparagus tips:Bring a pasta pot of salted water (2 tablespoons salt for 6 quarts water) to a boil over high heat, then reduce heat to a gentle boil. Bring reserved broth to a simmer, then simmer asparagus tips, uncovered, until tender, 2 to 3 minutes. Season broth with salt, then divide broth and asparagus tips among 6 shallow bowls, discarding cheese rind and bay leaf. Add half of ravioli to gently boiling water, carefully stirring to separate, and cook, adjusting heat to keep at a gentle boil, until pasta is just tender, 2 to 3 minutes. Lift the cooked ravioli with a slotted spoon, draining well over pot, then transfer to serving bowls filled with the broth. 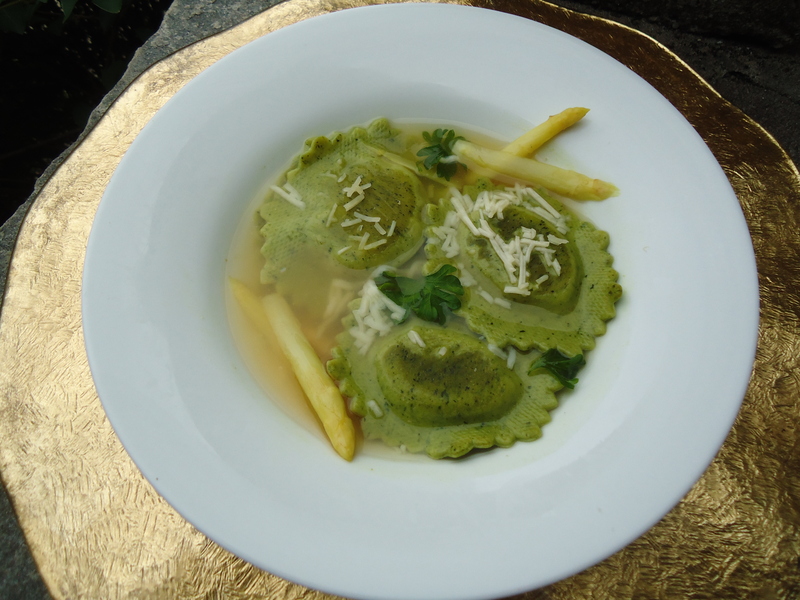 Repeat with remaining ravioli Garnish with shaved Parmesan-Reggiano cheese, if desired and serve immediately. The filling and broth, without asparagus tips, can be made 1 day ahead. Chill separately, uncovered, until cool, then covered. 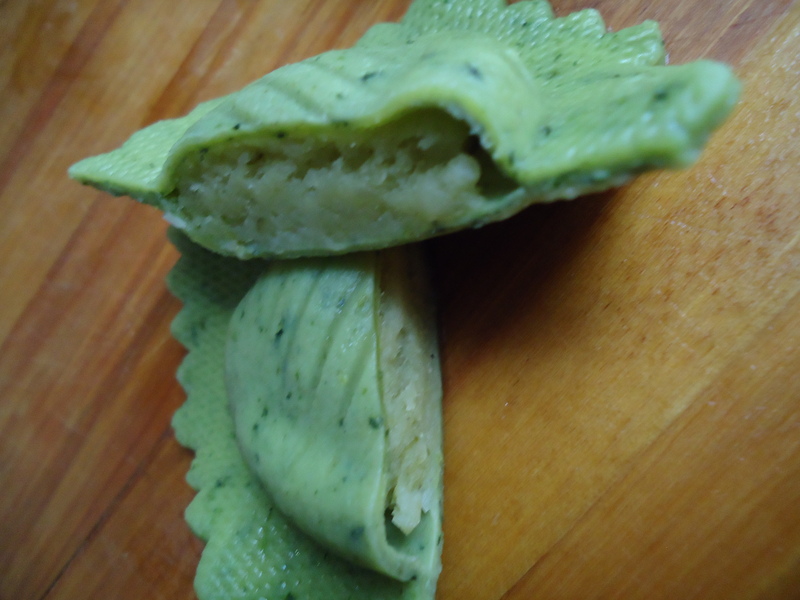 Wonton wrappers can be used instead of fresh pasta, if time is of the essence.